Everything! 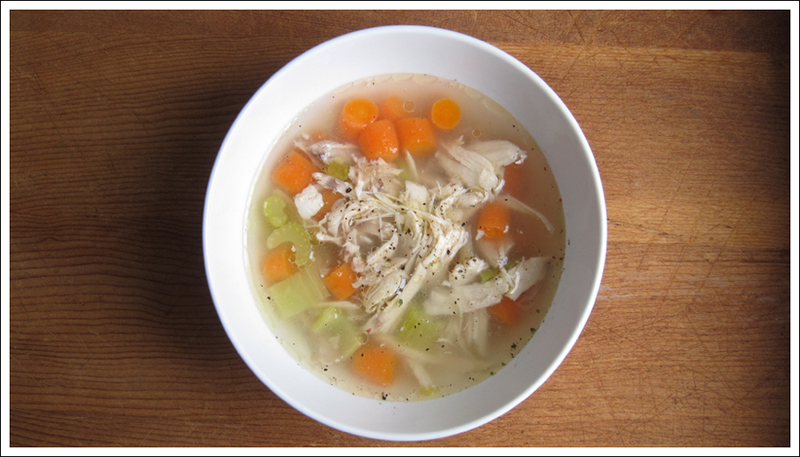 A hot steaming bowl of chicken soup served for lunch or dinner is especially nice on icy damp January days like we’ve been having around here. Also great for sore throats, a perfect simple protein/veggie meal for little tummies, and the ultimate comfort food. This paleo friendly recipe is extremely easy to throw together, although there is some ‘de-boning’ work involved in the prep, but makes a large batch (for freezing/reheating, yay!). Season with salt & pepper and serve hot! 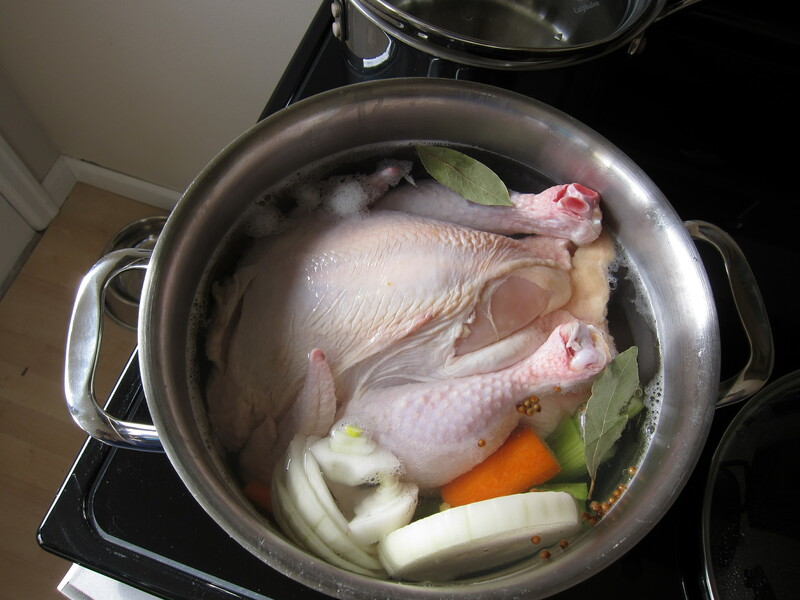 This entry was posted in Food and tagged broth, chicken, dinner, lunch, paleo, protein, soup, wellness on January 11, 2014 by ebchr.